Are You Paying More for Facebook CPC Ads? Have you seen your cost-per-click (CPC) rate going up with Facebook? You’re not alone. This summer, Facebook recently updated their definition of CPC to help businesses like yours measure your investment in Facebook ads better. But is the rise in cost enough to justify the change? CPC is the amount you pay for a click on your Facebook ad. This is determined by the total you pay for an ad on Facebook divided by the number of clicks you receive from it. So if you paid $100 in a specific period of time and got five clicks from it in that same period, then your CPC is $100 per five clicks or $20 per click. 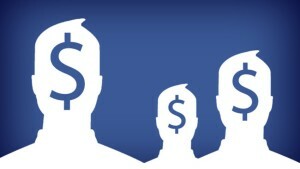 You set the rate you pay as a bid against others on Facebook who are targeting your same target demographic. The more popular the criteria you choose, the higher your bid should be so that you reach as many of those people as possible. There is a minimum ($0.01 per click), but that isn’t competitive enough to get your ad in front of your desired audience. Following the suggested bid maximum or close to it will reveal an estimated number of people you could reach and help you plan your budget better. Facebook counts clicks to links outside of Facebook as part of a business’ CPC campaign. The problem is that CPC also included more Facebook-centered clicks like likes, shares and comments in the equation. So it was hard to tell if your cost per click was actually driving traffic through clicks that matter for your business or were mostly clicks that resulted in engagement on Facebook. Facebook recognized a shift in the way businesses were using Facebook through their ads. It wasn’t about engagement on the platform itself through likes, shares and comments (which is always exciting to see grow) but truly connecting users to a company to actually drive business. Now your CPC is a true reflection of how your Facebook ad affects your bottom line. You can still bid on engagement clicks such as likes, shares and comments by choosing another ad type if those are the goals for your Facebook ad. But if you want results beyond Facebook engagement and real movement to business-driving links, then CPC is the way to go. How Does This Affect Your Ad Spend and Results with Facebook? You’ll notice your CPC go up in recent months, but you’re not really paying more for each click. The number of clicks that don’t and shouldn’t count are just removed. This might be a hard concept to wrap your head around if you are focused on the CPC rate. But it’s important to note that your CPC data is now more meaningful, not more expensive. More importantly than CPC is the actual CPA or Cost Per Acquisition of your ads. You can find this number by dividing your total cost spent on your Facebook ad by the number of actual desired actions from your ad. If you have a Home Value Leads landing page, for example, your desired action is to capture leads. So, to measure your ROI on your ad spend with Facebook more accurately, you should look at CPA, too. Change is scary but in this case it just makes things more clear for you and your business. If you aren’t hung up on the change in cost, you’ll see the real benefit of only measuring business-driving clicks from your Facebook ads. Round-Up: Facebook Tips for Real Estate How NOT To Get Likes To Your Real Estate Facebook Page Real Estate: Paying Homage to Your Team Is Your Real Estate Page “Facebook News Feed”-Worthy?